As a top Traverse City resort, the Cherry Tree Inn & Suites leads in service, cleanliness & comfort. 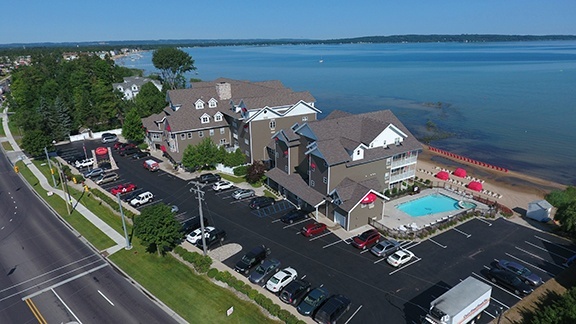 With 400 feet of East Grand Traverse Bay waterfront, the Cherry Tree’s smoke-free facilities provide the comfort you look for while our staff provides the service you need. Amenities include a complimentary hot breakfast with locally roasted and freshly ground coffee, complimentary wireless Internet access, indoor & outdoor heated pools and hot tubs, a sauna, and fitness and arcade rooms. All rooms include iPad/iPhone/iPod docking stations, HD TV’s with HD channel programming, Sony Playstation 2’s, and kitchenettes featuring Seattle’s Best coffee and Tazo teas. Reserve your stay at one of Traverse City’s best! On East Grand Traverse Bay with 400 feet of private water-front access. 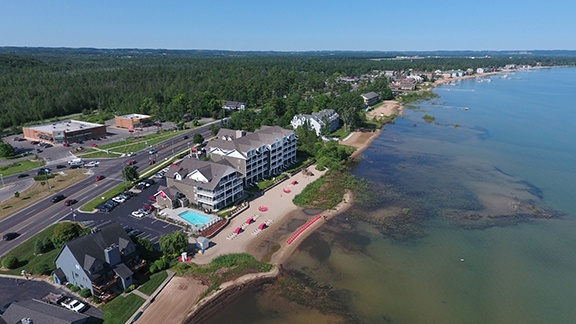 Easy access to downtown Traverse City, the peninsulas, and local boutique towns.